The story continues for our friends at Spooky High. After the first installment of the game and the short Christmas escapades, it’s time for a second term. Of course, this means new proms are getting near and you’ll be able to get some new meat together with some fresh scenarios and more. Let’s get ready to dive into some juicy stories. 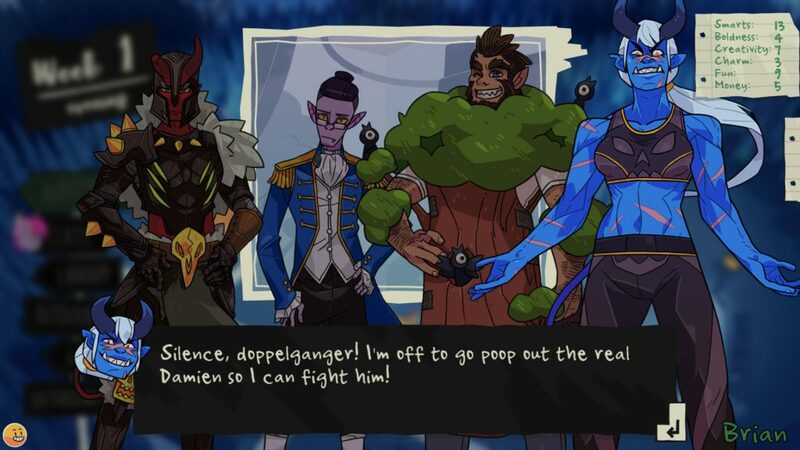 When you’re familiar with the game, you know you have a few weeks to woo some of your fellow monster students so you’re able to go to the most rad party together… or do something else, whatever the night brings. The biggest update from this DLC pack is the addition of two new date-able characters. First of all there is Zoe, a vicious deity that got changed into a schoolgirl with a burning passion for fanfics and ships. More interested into something more technical? Calculester is a male robot that is trying to get to know what it’s like to be a living being, and of course you’re able to help him. 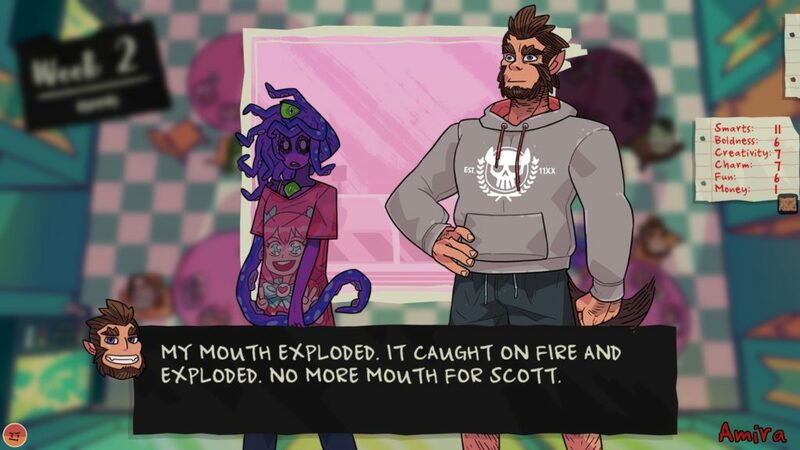 Both of these hotties can now be seduced, so get ready for some weird conversations regarding tentacles or the rectal passageways of vending machines. Of course you will need to keep an eye on your stats so you can get your prize at the end of the game. Of course, adding some new characters to the game means that there are new events to be triggered. Not only with the addition of the two students, but between the old gang as well. Even more, there are around ten new secret endings for you to discover. These can pop up if you have the right answers on certain inquiries during the playthrough or if you get some items from the shop, so be sure to keep an eye out for those. 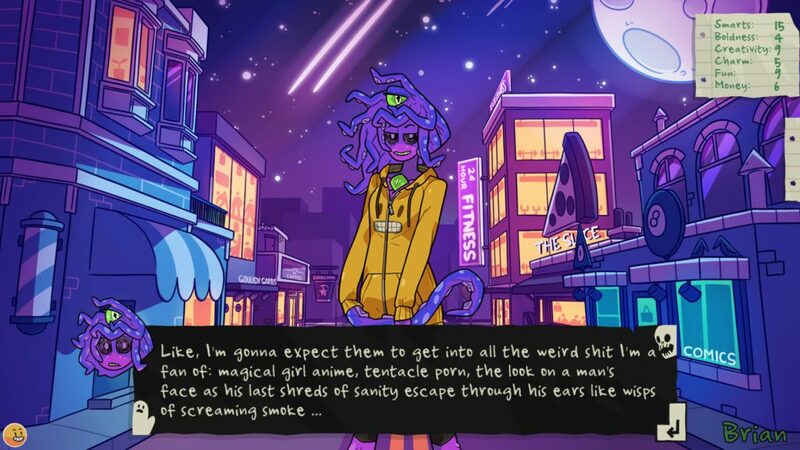 Next to the bachelors and bachelorettes, there are new NPCs that might pop up now and then. Be warned though, some of them might be put in to get on your nerves (not looking at you, Leonard…). These characters can appear at certain times to spice the scenarios up a bit, adding a lot of fun. The developers also added new Polaroids that are available after finishing a game, together with some awesome fan-art or concepts. Enough for you to discover and collect, especially some of the fan-art might give a nice blush on your cheeks. Even though there is new content, you might notice something. If you play the game a lot you’ll see that, even with the newly added characters, some of the scenarios pop up frequently. It depends on which student you’re going for and your previous responses of course, but still. At any rate, the new additions make it a refreshing new experience and a fun night alone or with friends. 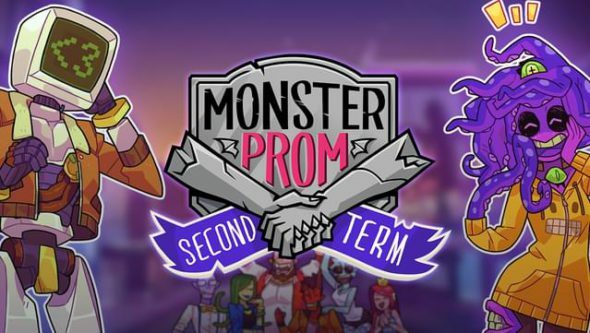 Monster Prom: Second Term is the newest addition for this title and it has a lot of new elements for you to discover. New blood, new scenarios and some secret endings together with extra Polaroids, a whole new world ready to dive into… together with some other things you might go into if you’re lucky. Expect some edgy conversations and images so get ready to rumble.